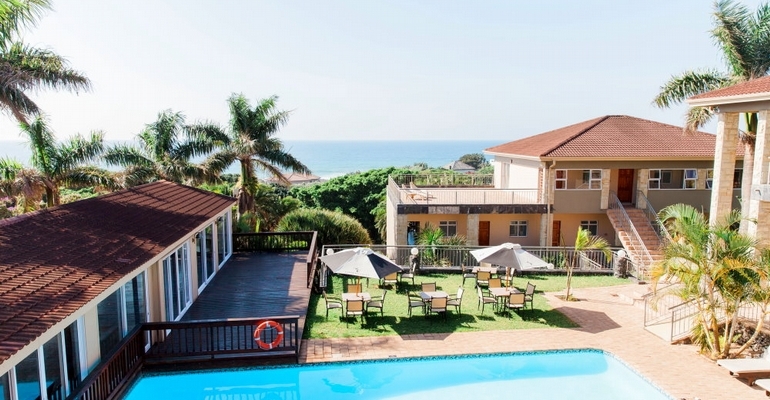 UMTHUNZI HOTEL & CONFERENCE is a uniquely, affordable luxury venue that welcomes leisure guests, business delegates and wedding parties to this beautiful part of the South Coast. Honeymooners or couples will be spoiled by panoramic sea views from the 2 gorgeous Honeymoon suites with lavishly draped four poster beds, and Conference delegates will be amazed at the turnkey, professional and friendly service that Umthunzi is proud of. Please contact us to enquire about availability as well as any special offers we may be running.